After successfully completing the design, the team is now working on the fabrication work. 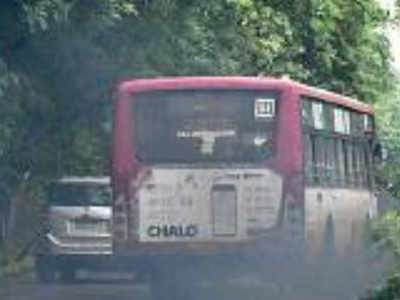 BHOPAL: A team from the Lakshmi Narain College of Technology (LNCT) has designed a device that minimises pollutants in vehicles. The ‘electrostatic gas purifier system’ has been developed by a team, comprising students and teaching faculty of the mechanical engineering branch. The device can minimize the pollutants of two-wheelers and four-wheelers. The team has also applied for a patent for the device. Air pollutants emitted from cars are believed to cause cancer and contribute to such problems as asthma, heart disease, birth defects and eye irritation. Besides, emissions from cars increase the levels of carbon dioxide and other greenhouse gases in the atmosphere. The LNCT team’s device works on reducing such pollutants. After successfully completing the design, the team is now working on the fabrication work. “Presently, we are working to implement our design to the vehicles and trying all combinations of material (brass and lead) for the better results,” said George. Tanmay has got scholarship from foreign universities on the basis of this work. “To make a single device, we have spent up to Rs 3,000-4,000. But we are expecting to bring the cost down to Rs 1,500-Rs 2,500 if it goes in bulk productions and we can commercialize it. The pollution is less with this device. It has a flexible size and can be used in any kind of vehicle,” said a final year mechanical engineering student Zaeem Khan who is also a member of the team.